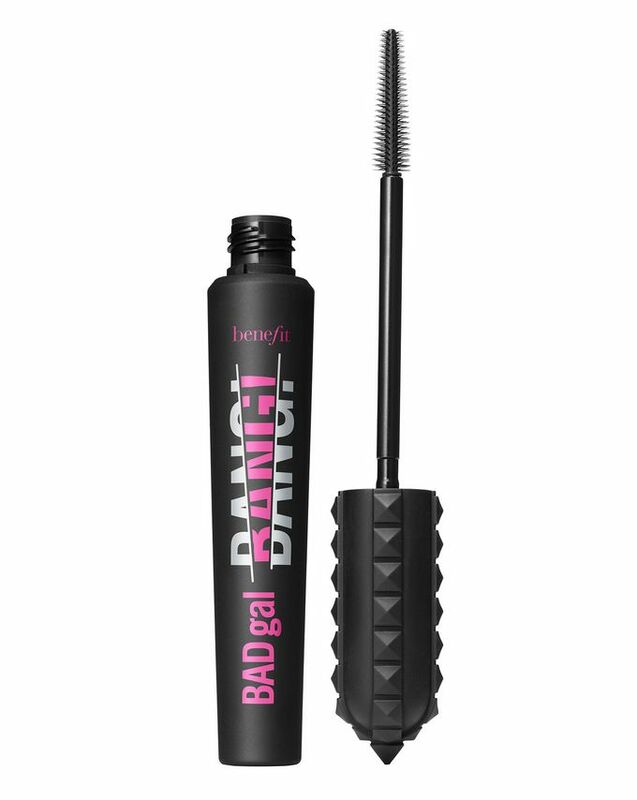 Joining the brand's impressive collection of cult classic mascaras, Benefit’s iconic BADgal is back with a Big Bang, beginning a brand-new universe of lash enhancement. The 36-hour full-blast formula creates massive volume without weighing lashes down, defying gravity thanks to aero-particles – a super-light material derived from space technology. 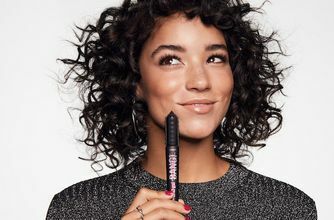 The innovative pitch-black formula layers easily, delivered on a unique ‘slimpact’ brush that’s streamlined to coat every eyelash evenly. It’s available in both full and ultra-convenient travel-sized mini sizes. Finish every eye look with a bang with Benefit’s BADgal BANG Mascara, an unbelievably volumising mascara that marks the start of a new universe of lash enhancement. Offering bigger, ‘badder’ lashes than ever before, the unique, intensely black formula stars gravity-defying aero-particles – one of the lightest known materials derived from space technology. This innovative ingredient ensures that the formula can be layered up for maximum impact without weighing lash hairs down, adding volume, length and curl without clumps. It’s effortless to apply using the unique ‘slimpact’ brush, which is streamlined to coat every lash evenly and the formula is both smudge-proof and water-resistant, so the miraculous results will last through even the wildest gales, tantrums and tears – though we hope it doesn’t have to! Wiggle the brush from base of lashes to tip. Apply one coat to both eyes, repeat as desired to build BIGGER and BIGGER volume. I absolutely love the look this mascara gives my eyelashes, but the fall out is too ridiculous. Will not be buying again. A real shame Benefit. Don't normally like plastic brushes, however this one is spot on. Goes exactly where you want ( Not on my eye lids or under my eyes, messing up my concealer ) and it's long wearing. No black bits or smudging 12 hours later! Really don’t rate this mascara at all, the formula is awful as it makes your lashes very clumpy and crumbles. I often found when I tried this mascara that I had bits of the mascara under my eyes. It also doesn’t give the desired effect to my lashes, as I leaves them looking clumpy and too saturated with the product. Love this mascara it’s the only one I ever use. Makes your eyelashes very long and thick with no clumps highly recommend. Honestly the best mascara if you like/want full, thick, very dark lashes! It's amazing for night and daytime use and lasts for hours! Would 100% recommend. If I could give this zero stars then I would. The formula is awful and the brush useless. Covers your lashes in one big clump of nastiness. Don't waste your money. I'll be sticking to my usual brand at £8.99. This mascara is extremely bad. It is very wet, it goes everywhere, everywhere apart from my eye lashes, clumps on my lashes, transfers all around eye. It's crumbling and imprinted off throughout the day. This mascara is so flawed for me, sure it gives me lovely long lashes, but one misstep and it gets very clumpy. The formula feels heavy on my eyes, and it always smudges/flakes. The formula is really thick and clumps all my lashes together without adding any length, it transfers into my eyelids where I’ve never had any issue with mascara before, and it will crumble and flake off throughout the day. Oddly enough though, it’s a total pain to get off of my eyes fully in the evening. Just won’t budge and smudges everywhere without actually coming off my skin and lashes. Glad I only paid for the mini. This mascara does such good things for my lashes. They always have a curl and volume but gives me panda eyes so quickly! Such a shame as other than that it would 5 stars. I’m very glad I only bought this in the travel size as it doesn’t live up to the hype at all. The formulation is very, very, wet so transfers quickly, leaving semi circle dots on eyelids and cheekbones. Strangely though, despite being so wet, it clumps rapidly on lashes as one coat does little so a second is needed. Doesn’t feel significantly more lightweight than other formulations either, but the worst thing is that it’s incredibly difficult to remove. I tried soap, micellar/oil remover and facial oil and then just gave up for the sake of saving my eyelashes. I would not recommend this product or at least would strongly suggest you try a bit at a counter, see how it wears AND washes for you, and then decide. I find my eyelashes are typically average length, but without much curl. I need a mascara which will give and hold a curl. This mascara HOLDs curl, but as far as giving my lashes an upward boost, it lacks. I do like the formula, big lashes in an instant! 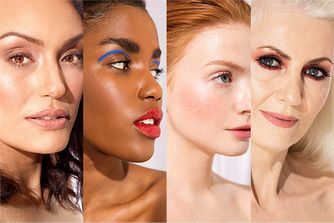 But with so much product on the brush, I simply can't afford to slowly build up the curl by pushing my lashes against the brush like I can with my others. I'll just end up with a big clumpy mess. I think I'm looking forward to this drying out a little, as at the moment its perhaps too much product all at once. So basically, I suppose its time to buy an eyelash curler! This mascara is perfect for someone who doesn't like cluttered and chippy lashes, I know some people prefer that. This works well for separating the lashes while giving length and volume. I am very particular about my mascaras and after finding three very dependable and miracle-working go-tos I don't stray very often. On first application I wasn't keen on this, I have quite long, straight lashes and while this gave me instant, incredible length (in one swipe!) I personally found there was just too much product on the wand to prevent them feeling too saturated in product and verging on spider-y. If this has happened to you I suggest wiping the wand clean and trying again, this time it gave my lashes quite possibly the best length I've ever gotten from a mascara as well as a defined separation that I've never been able to achieve before. Pretty amazing to say we didn't get on initially and I have a feeling that like wine (and IT Cosmetics Superhero Mascara) this will get better with age! I gives me the length and volume that I lack and really bring my look together!! Love this mascara! Very volumising. This mascara weighs my lashes down, it feels clumpy and results in my lashes to look like spider legs. It’s black with a spiked wand which seems to pick up a lot of product. you have to try and wipe off some of the formula or you will end up looking like Peppa pigs mum. I had almost given up my search for the perfect mascara before this came along. Somehow it manages to lift, lengthen AND volumise my blonde, lack-lustre lashes without feeling clumpy or heavy. I don’t think I’ve ever seen a more stark improvement on the first application of a product – I cannot be without it in my make up bag now. I never had any issues with mascaras before! This one with all that hype and raving, I am so disappointed. It is very heavy, clumpy and transfers to my cheeks like I have shed tears. Don't buy it. I have naturally long lashes, this mascara really gives them a WOW factor! There is ALOT of product, on the brush so too many brush strokes through the lashes leave them stuck together, so I have to be strict with my self and just do one or two strokes and leave it. Extremely wet, doesn't hold any curl, clumps up so fast and flakes to the cheeks. I tried removing all of the excesses before applying but didn't help. And so difficult to remove. I really wanted to love this! After trying multiple mascaras, I found my holy grail - I love the effect it gives! 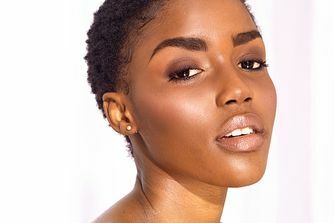 Lashes are long, with loth of volume, it doesn’t flake or smudge. Some might say it gives the spider lash look, but I like it if it comes with length - and here it definitely does.